Order your Caran d'Ache Zivago Fountain Pen today from FahrneysPens.com. Fine Pens, Refills & Luxurious Gifts – great prices & fast shipping. 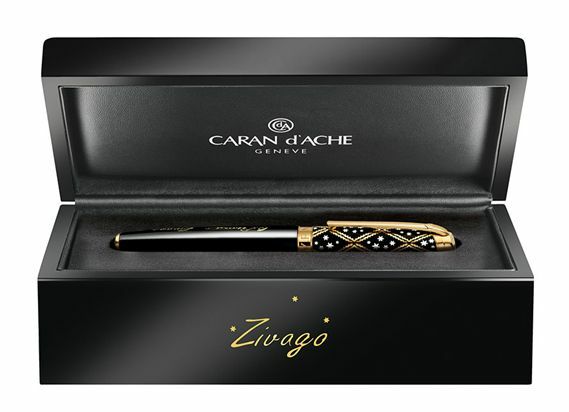 Caran d’Ache, in creating the Limited Edition Zivago Fountain Pen, pays an elegant tribute to the magic of literature and the emotions it arouses. This fine writing instrument, dedicated to the famous Russian novel, Doctor Zhivago by the Nobel laureate Boris Pasternak, embodies the poetry of words, the pleasure of reading and the spirit of one of the most beautiful stories ever written. 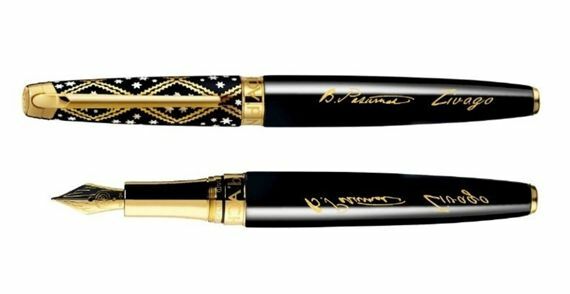 The lacquered cap of the fountain pen is decorated with a gilded lace design and stars in white lacquer. 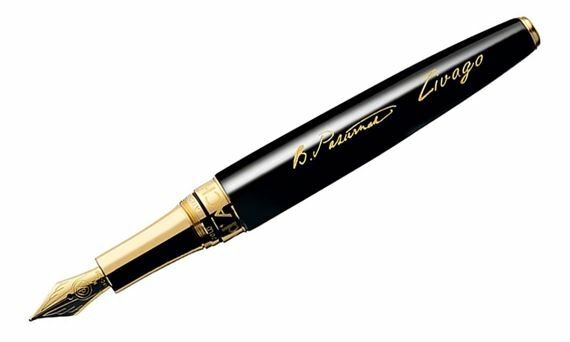 The signature de Boris Pasternak, finely engraved on the body of the pen. The Zivago is limited to 1958 pieces worldwide and has an 18K gold nib. Like a mark identifying a work of art, Boris Pasternak’s signature, finely engraved into the lacquer, completes the look of the instrument. This dedication continues onto the cap which is also lacquered and sprinkled with gilded motifs that form a striking contrast of colors and materials. The delicate stars, engraved then lacquered white, recall both the snowflakes that coat the Siberian landscape as far as the eye can see and the purity of the love that inspires the characters. As an ultimate tribute, the pen nib is formed in 18-carat gold.